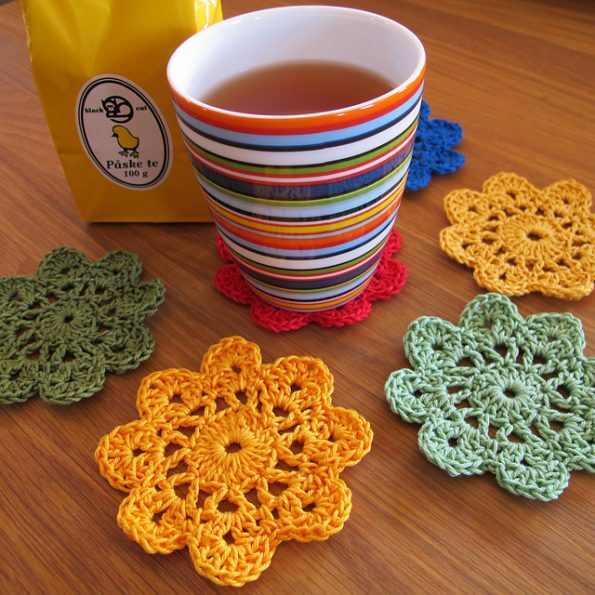 decorate your kitchen with this pattern. these flowers are wonderful. 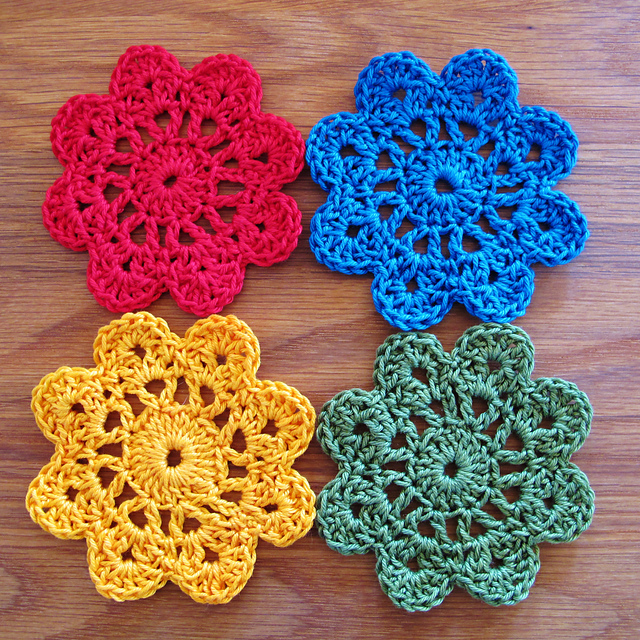 Flower Coasters Free Crochet Pattern is here.